No one knows what exactly Bella has been through — but by anyone’s guess, it hasn’t been good. 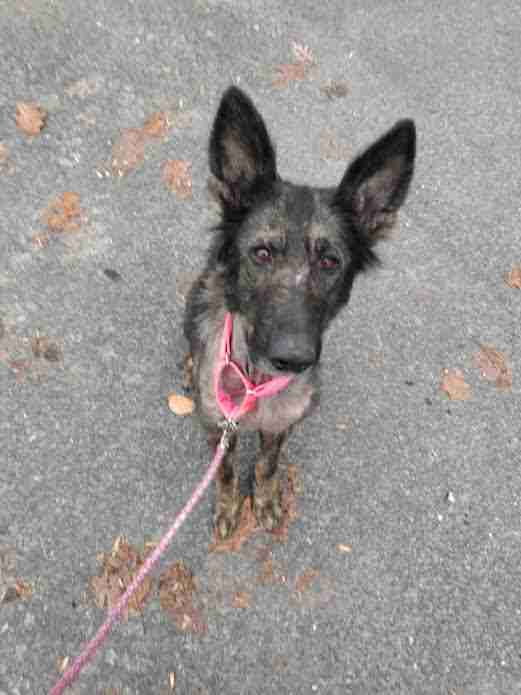 Earlier this month, the German shepherd was found all alone and running on the side of a highway in Lancaster, Pennsylvania. She was extremely skinny, and was missing nearly all of her fur. A Good Samaritan saw the dog and pulled over right away to help. 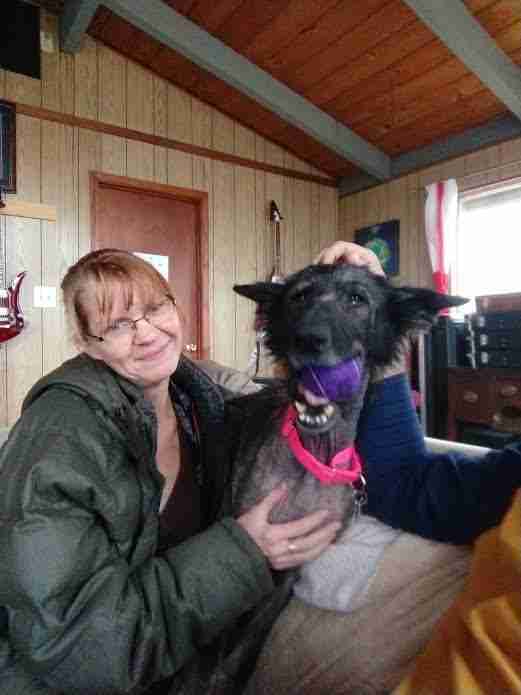 He brought her to the local SPCA, which then brought her to Char-Wills German Shepherd Rescue. 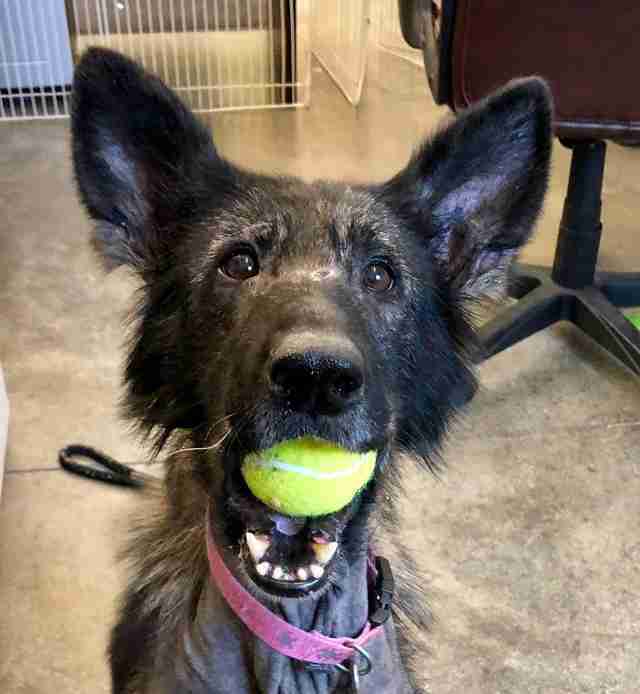 Bella was overjoyed to be with people again — and she was especially excited when her rescuers gifted her with the first toy of her own: a tennis ball. Despite her poor body condition, Bella lit up when she saw the ball. It’s hard to tell how long Bella went without toys, but it’s safe to say she won’t grow tired of playing with them anytime soon. 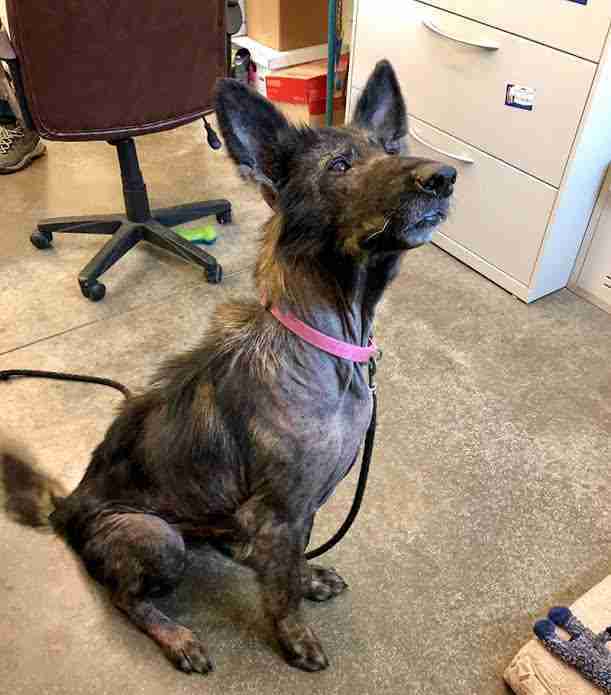 While it’s unclear just where Bella came from, Buhl says it’s likely she was abandoned on the streets after she developed the skin infection that caused her to lose her hair. Unspayed at around 7 or 8 years old, it’s also possible Bella was used for breeding, Buhl said. In addition to the skin issues, Bella is around 20 pounds underweight. 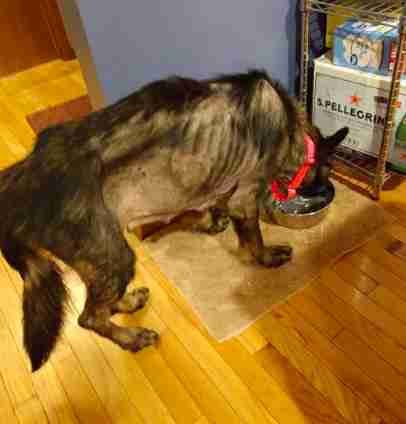 Thankfully, she’s already feeling better with regular meals and plenty of snacks at her new foster home. She’s also on medicine that will heal her skin and hopefully help her fur grow back. 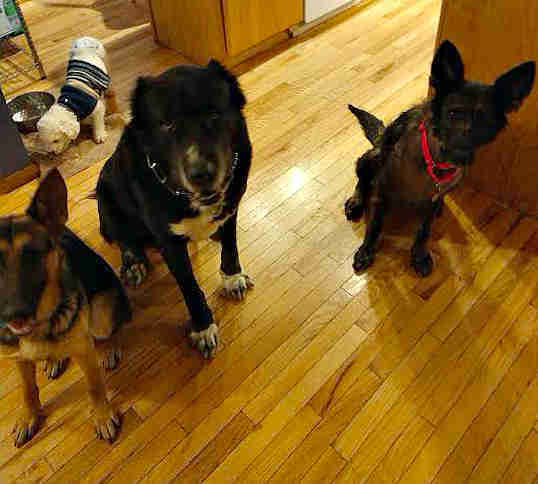 Bella is happily living with dogs and cats of all sizes at her foster home as she recovers over the next few months. She would have been available for adoption after — but her foster family has just decided to adopt her. In just a few weeks, Bella has already shown just how sweet, friendly and trusting she is. These qualities are a little bittersweet for Buhl, who has been rescuing and rehabilitating German shepherds like Bella for almost 25 years.